Services provided: Event management, political consultancy, secretariat and parliamentary monitoring. 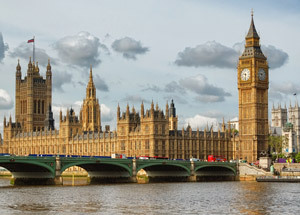 The All-Party Parliamentary Media Group is a forum for discussion within Parliament on public policy as it affects the media sector, formed in 1992. Its membership is drawn from all political parties and both Houses of Parliament. It meets regularly to receive an address and have a short discussion with key players from the media industry, its regulatory agencies, and government ministers. It is an impartial, efficiently-run organisation, which provides a useful interface between Parliament, the industry and other key stakeholders. Our approach was to position the Media Group from the outset as the pre-eminent forum within Parliament for the discussion of public policy on the media. We provide an efficient and professional secretariat that is completely impartial to all party political considerations and all interests within the industry. We organise a programme of regular meetings for the Group as well as a series of policy breakfasts and an annual reception attended and addressed by the Secretary of State for Culture, Media and Sport. The Chair of the Group is an established MP and its other officers bring substantial credibility from a wide range of backgrounds in the media and policy-making community. The Media Group is now acknowledged as a leading forum for discussion in Parliament and its work is sponsored, at arm’s length, by Viacom, BT, NewsUK and Camelot, amongst others. It makes a valuable contribution to raising the quality of debate on media policy in Parliament and is greatly valued both by ministers and by industry. The work of the Media Group also gave rise to the now-independent Westminster Media Forum which organises regular keynote national seminars on important developments in media policy.